Sweet Sentiment: Be a square! Good morning Krafty people!!!! 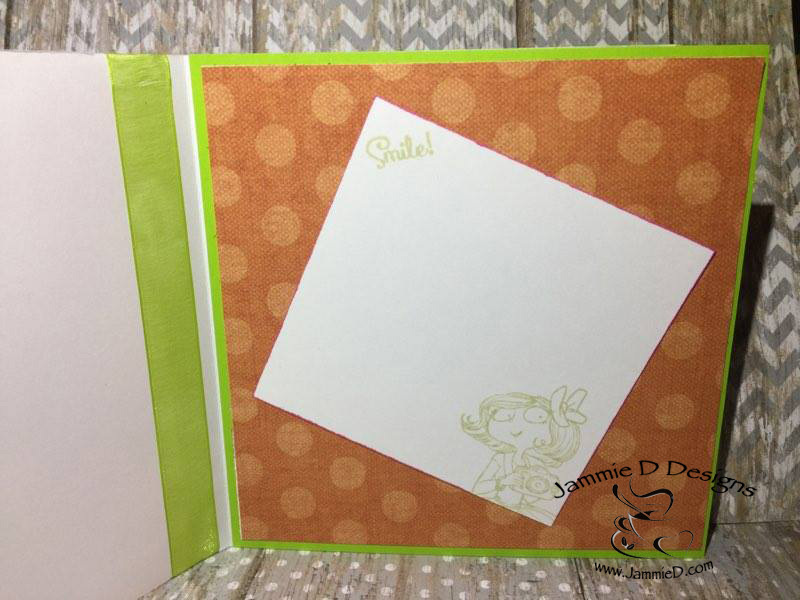 I'm here today sharing with you a Square card! Yeah, I rarely make square cards.... I don't know why... I mean, I have NOTHING against the shape.... I just get stuck doing my 5x7 cards. It's muscle memory. I sit at my desk, I cut a 5x7 card base, I pick papers, I find an image, I color..... it's comfortable, it's habit, and I LIKE IT! HA HA HA! So when I saw the challenge at Kraftin Kimmie Stamps, I decided to "do something different" and stop being a "square" by making just that; a square card! The challenge this week is to make a square card, in case I hadn't said that enough, and you can click here to find the details. On the top of my paper bin has been this orange piece of paper that is covered in cute old cameras! I love it and I can just never bring myself to use it... that was going to end today! I also knew that SOMEWHERE in my stash of charms I had this little camera that would go perfect. Which led me to the "Oh, Snap!" set by KKS! (Unfortunately it's not available for purchase any longer.) I just adore this set and I had so much fun coloring it! To color the image I seriously used 45 Copic markers! Yeah, that shocked even me. But it was fun and I had coffee, so I kept going. 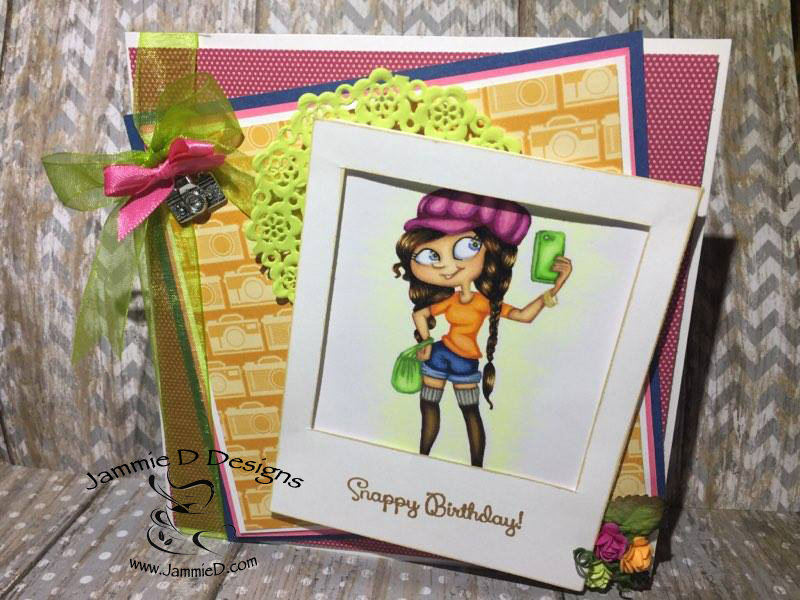 I hope that you join in with the Krafty Girls at Kraftin Kimmie Stamps and make a square card. There is a prize for the winner! Prizes are always good!!! I have enjoyed being a Krafty Guest Designer this month and I have some super duper exciting news!!!!!! I got asked to be a guest designer again in February! I'm soooooo excited! So stay tuned for more KKS! He he he!